Any dentist will tell you how important it is to have a good dental care routine. Having a healthy mouth is essential to one’s overall health and well-being. However, in children with autism, sensory issues can make it difficult to implement a dental care routine. I have been practicing family dentistry for 17 years and I love working with families and helping them find the best ways to have great oral hygiene. Here is a list of tips that I have seen work for families with children with autism. Brushing and flossing your teeth is essential to a good dental care routine. In children with autism, they can be sensitive to the toothbrush bristles and flossing movements. This can make it difficult to have good oral hygiene. The best way to instill an effective dental care routine is by starting at home and starting from a very young age. Introducing a young child to brushing and flossing can make it easier as they get older. If your child is struggling with brushing their teeth, try experimenting with different kinds of toothbrushes until you find one that works best for them. Some brushes are made with silicon or softer bristles. Sometimes, a child may benefit from an electric toothbrush with soft vibrations. It’s all about finding a toothbrush that they can use on a day to day basis. Having a diet rich in vitamins and minerals is also important when it comes to having a healthy mouth. Fruits, vegetables, grains, and some dairy carry the nutrients that one needs to have strong teeth and gums. Children with autism may have limited diets and strong likes or dislikes when it comes to food and drink. Work together with your child in trying new foods and discover new foods that they love. It can be a fun way for you and your child to experiment with food and find ones that work best. One thing to note while discovering a diet that works for your child is that it’s important to limit sugary foods and drinks as well as acidic foods. In large quantities, foods like this can break down the enamel and make your child more susceptible to cavities and tooth decay. It’s recommended that one visits the dentist twice a year, or once every six months. A child should begin seeing a dentist when they are around 12 months old, once they start growing teeth. Your dentist is going to be you and your child’s support system when it comes to all things dental health. 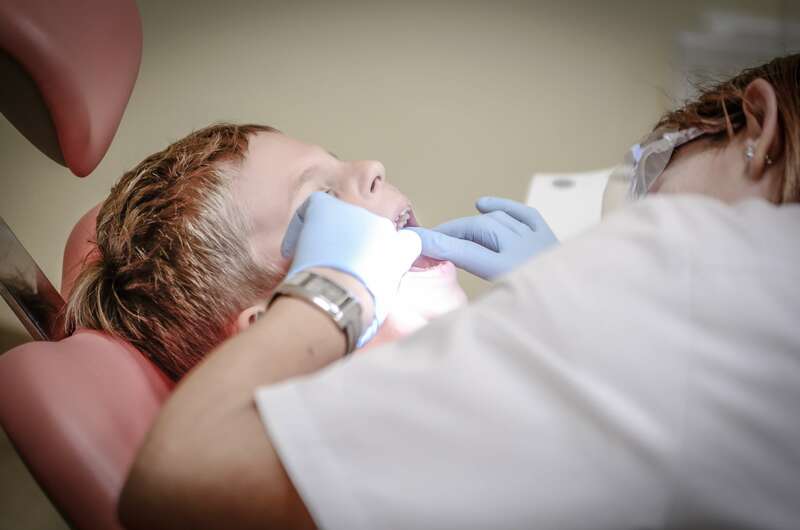 You will want to find a dentist that can properly care for your child and their needs. Ask your primary health care provider for recommendations of special needs dentist. You can also use online resources such as the American Dental Association to search for dentists by location and specialty. Ask potential dentists plenty of questions to learn about how they support and provide services to children with autism. Having good oral hygiene is crucial to one’s overall health and well-being. It’s important to implement an effective dental care routine from an early age. For children with autism, it can be harder to achieve this routine because of sensory overload in autism. However, there are many ways to work towards making brushing, flossing, and dental care second nature. Embrace the learning experience that comes with dental care and never give up.